Today I am doing a post about eye shadows.As you may know about me that whenever I do a look I love to emphasize the eyes rather than the lips!I love to collect all type of eye shadows whether loose,mineral or pressed etc etc. 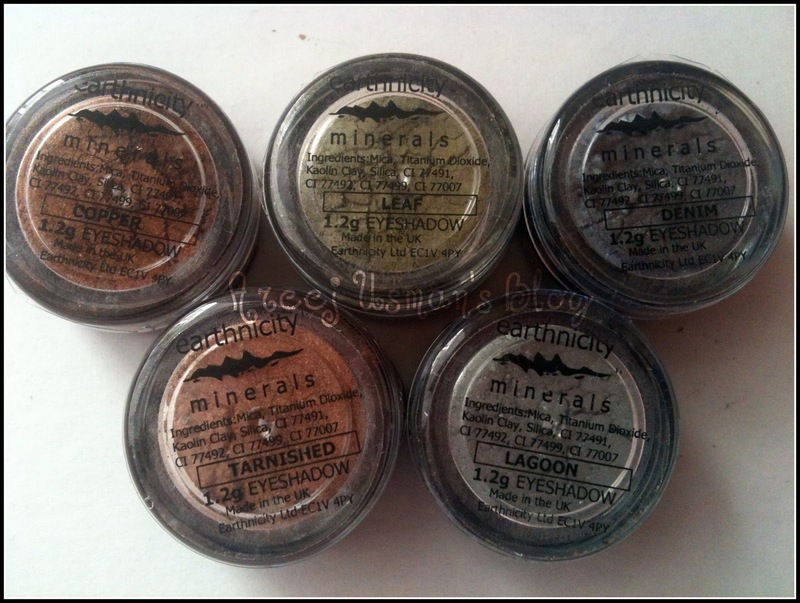 Today’s post is about loose mineral eye shadows from Earthnicity.They are a UK based brand.I got to choose 5 full size jars of eye shadows.I chose the following shades. Our mission is to produce all-natural mineral makeup for all ethnicities in accordance with our motto: “Beauty For All The Colours of The World”. Our mineral makeup formulations are original and entirely our own – we don’t just slap on a label to a private label line and call it our own unlike quite a few mineral makeup companies out there. We know exactly what goes in our makeup because we make it ourselves – right here in the UK! Add drama to your eyes with our selection of highly-pigmented and long-lasting mineral eyeshadows. 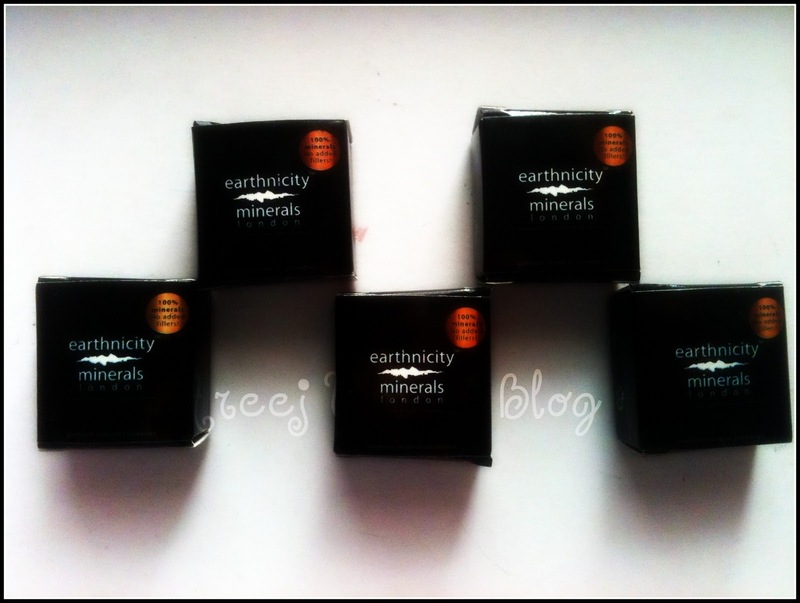 Earthnicity mineral eyeshadows are long-lasting and highly pigmented. Use them on your eyes, cheeks or nails. 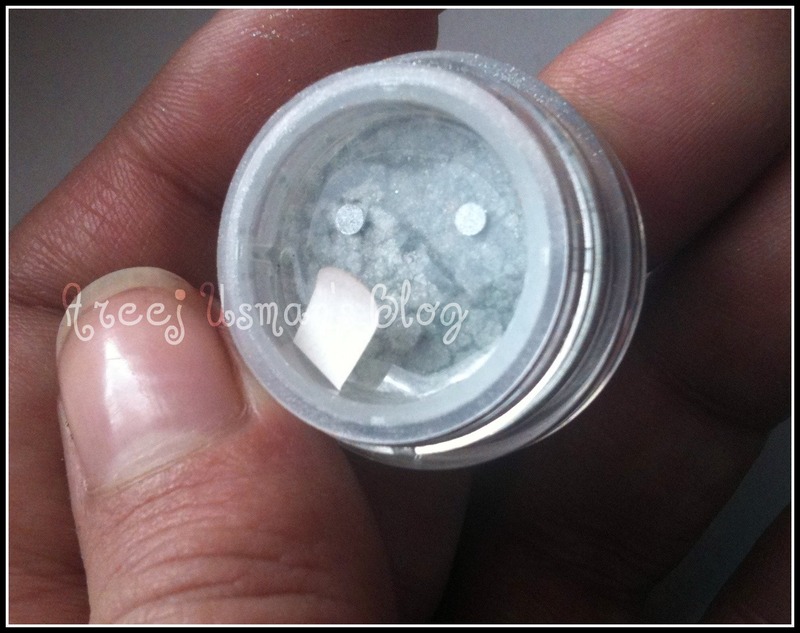 Each eyeshadow comes in a 3ml sifter jar containing approximately 1.2g of mineral powder. The shades came in my mail packed individually in small cute boxes with a round window at the back to see the shade.Here is the packaging of each shade. 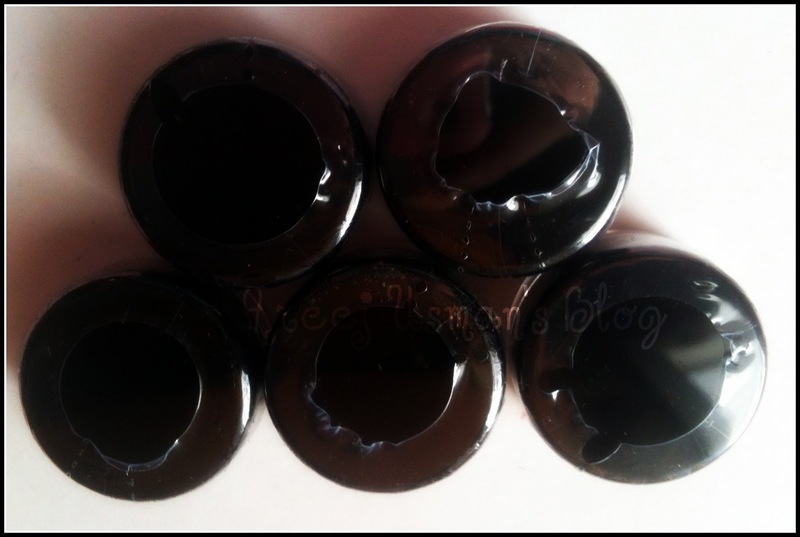 I love the products and samples that are actually sealed.There is an excitement that I feel while ripping off the seal and opening the product for the very first time.You can well imagine how exciting these would have been! The jars are the usual type sifter jars.You can shake them up a little and some product will be available for use.These type of jars save the product from being wasted like accidently you tip off a jar and if this wasnt a sifter jar all the product would be gone!Though they may take a little more time handling the product but still I would go for these sifter jars for loose powder products. 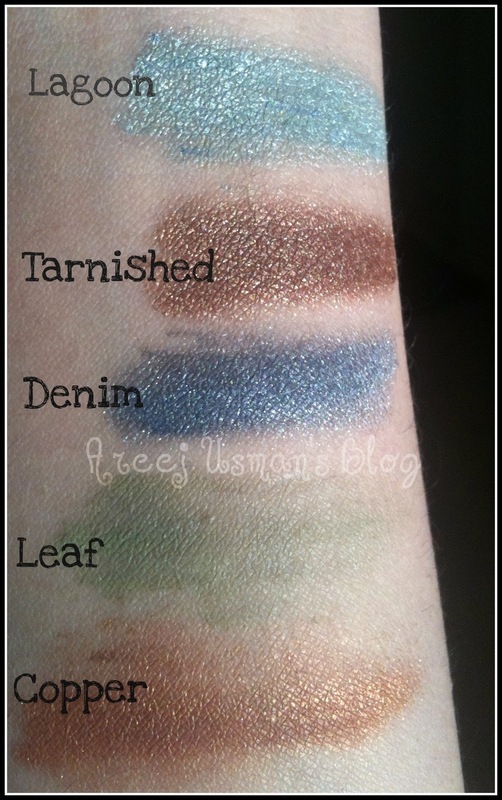 These shades are single swatched and I havent used any eye shadow base or primer underneath them.Well what do you conclude.I must say that I really appreciate the pigmentation of these eye shades specially the shimmery ones.I wonder how these will come up when I have used a base beneath them!Just look at the shades LAGOON,TARNISHED,DENIM & COPPER.I must also add that these have really impressed me the most among the other mineral eye shadows that I have reviewed and swatched.As I didnt use a base they stayed around for 2-3 hours.To make them last longer it certainly is necessary to use a base before applying the shades.I am sure the matte ones would also turn out better with a base. The price of these full size jars has been reduced from £3.99 to £1.99 for the Halloween Season.I converted them for you to PRS & they are for PRS.277 each that is really affordable.The offer ends 31st Oct midnight! They have a huge variety of mineral eye shadows and other products on their website.I would definitely recommend my readers to try these eye shades.Why not take advantage from the reduced price and grab some of those lovely shimmery shades and matte ones! For more details visit Earthnicity.You can also find them on Facebook. Any comments and questions are always welcome. 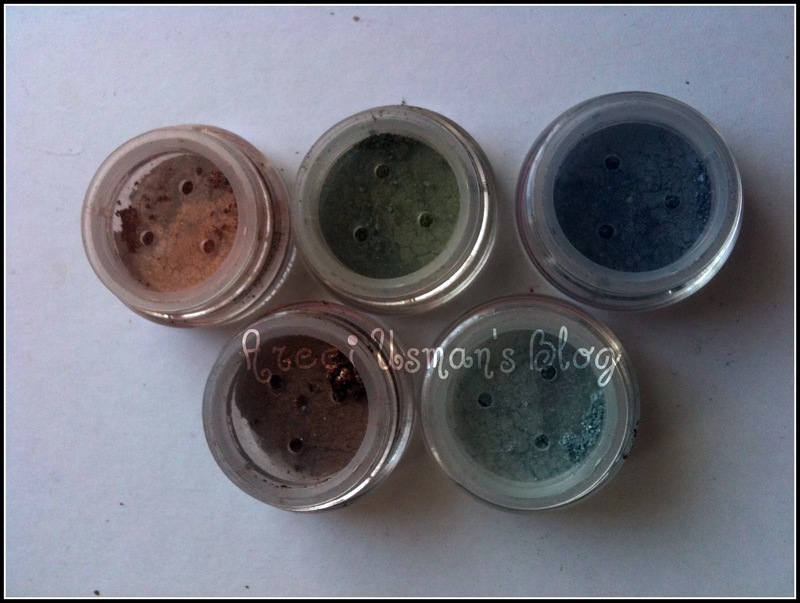 Wud love to try these..
Nice review Areej <3… I like 'Leaf' nice Matte mehndi green shade!!! Lagoon n denim RULE!!! beautiful swatches.